Space can be an issue for some of our clients who want as much solar power as possible, but don’t have much room. The available space on this roof was very limited, and we concluded that our standard solar panels would not provide the best fit for this client. 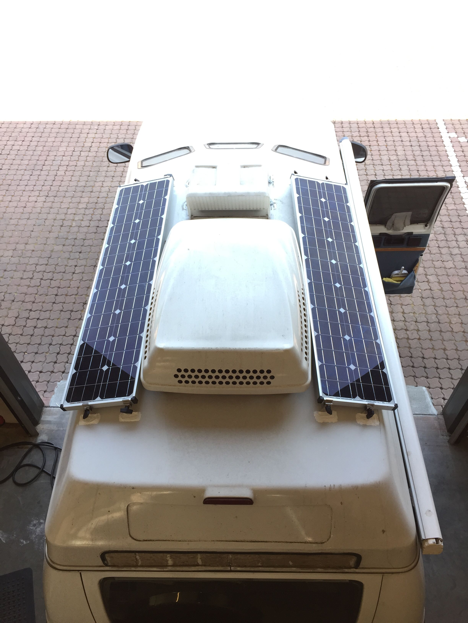 Our friends @zampsolar provided these slim 80W solar panels that fit perfectly on the sides of this client’s air conditioner. 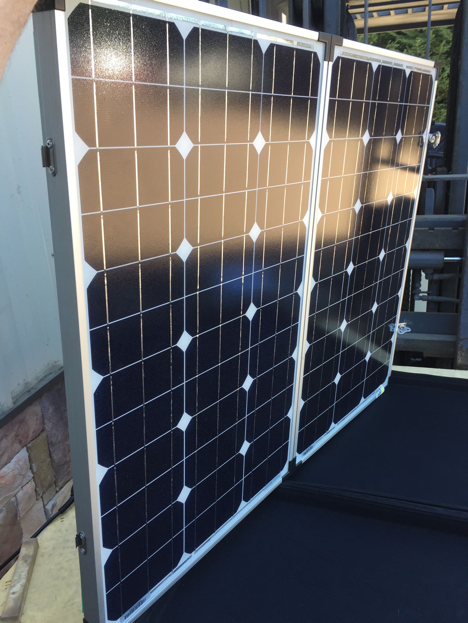 Zamp Solar also offers some awesome portable solar panels that are designed and built right here in the United States.